Pulled Pork Sandwiches made in the Crock Pot! Heat oil in a sauté pan and sear roast on all sides until a rich brown color. You’ll notice I am using a pork loin instead of a more traditional pork shoulder. 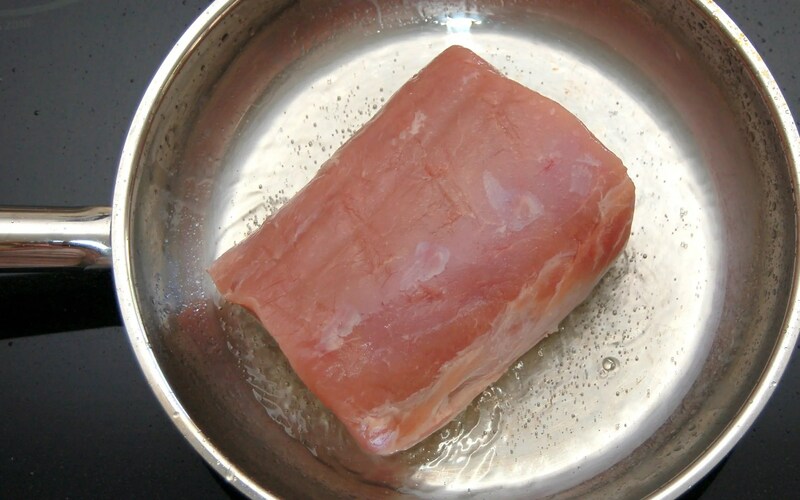 Pork loin is a leaner cut. Transfer seared roast to a crock pot. Mix all ingredients, except for plum preserves and pour over roast. Cook for about 7 hours on low. 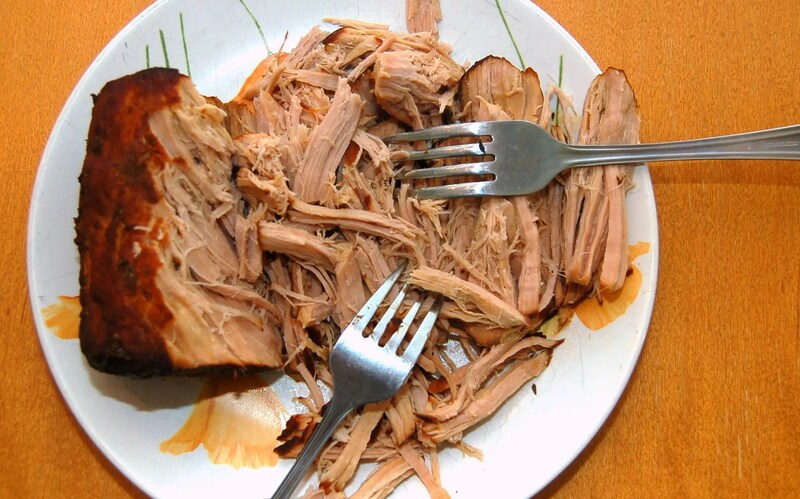 When roast is finished cooking, remove from slow cooker and shred with two forks. Transfer shredded pork back into crock pot to mix with the sauce. Add in plum preserves and mix until melted. Assemble sandwiches on soft buns with coleslaw and enjoy! 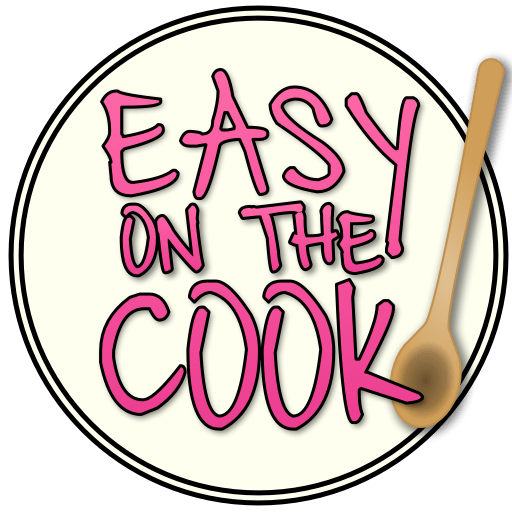 I also have another recipe for Pulled Pork, check it out here! 1) Heat oil in a sauté pan and sear roast on all sides until a rich brown color. 2) Put browned pork in the crock pot. 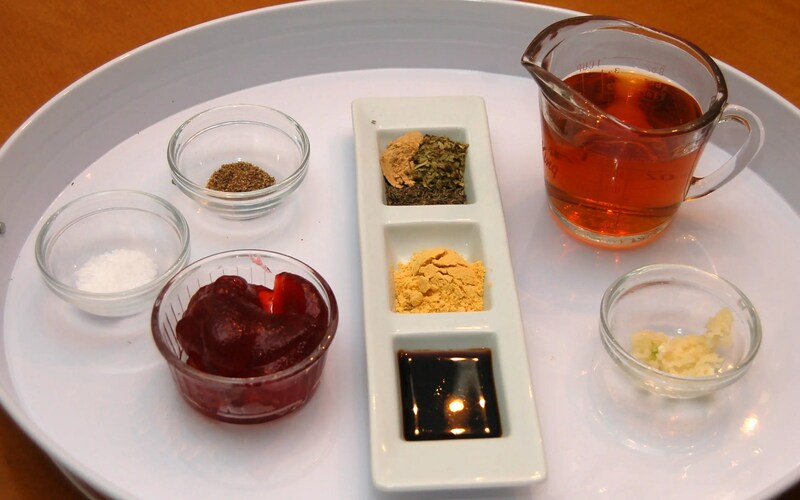 3) Mix all ingredients, except for plum preserves and pour over roast. 4) Cover and cook on low setting for 7 to 9 hours until pork is tender. 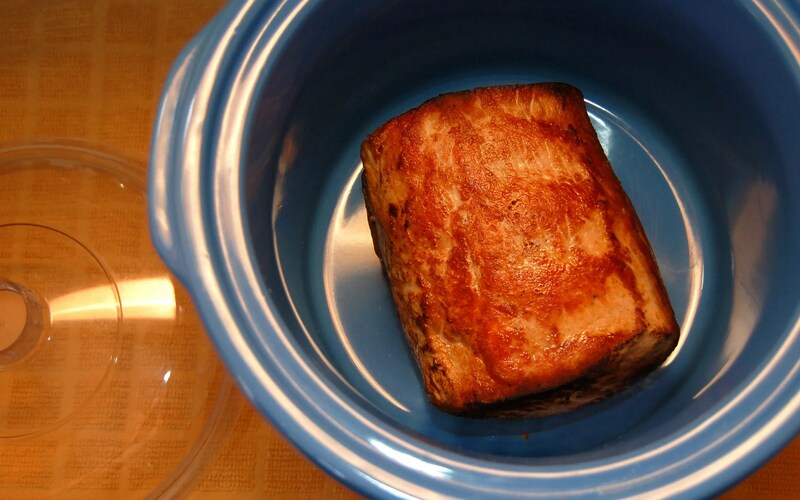 5) Remove pork from slow cooker. Allow to stand for a few minutes then shred with two forks. 6) Skim the fat from the pork juices. I find an ice cube wrapped in cheese cloth works well. 7) Add preserves into juices and warm until melted. 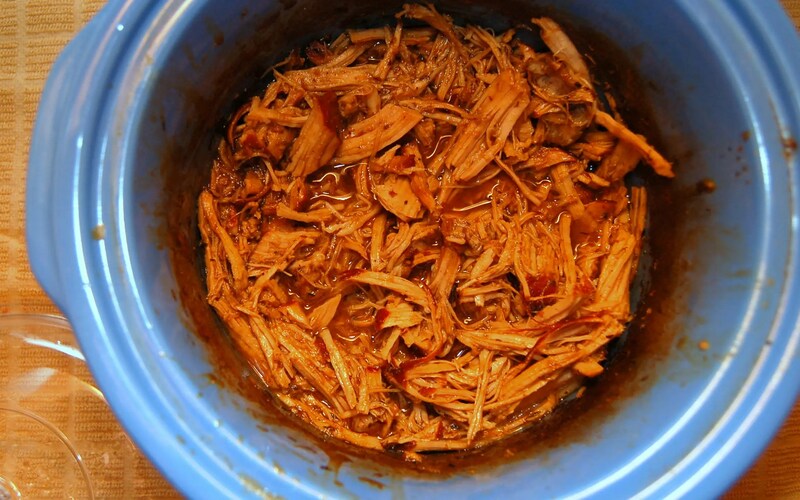 8) Add shredded pork back into juices in crock pot. 9) Using soft while buns, make the pork sandwiches. I often use ciabatta buns. 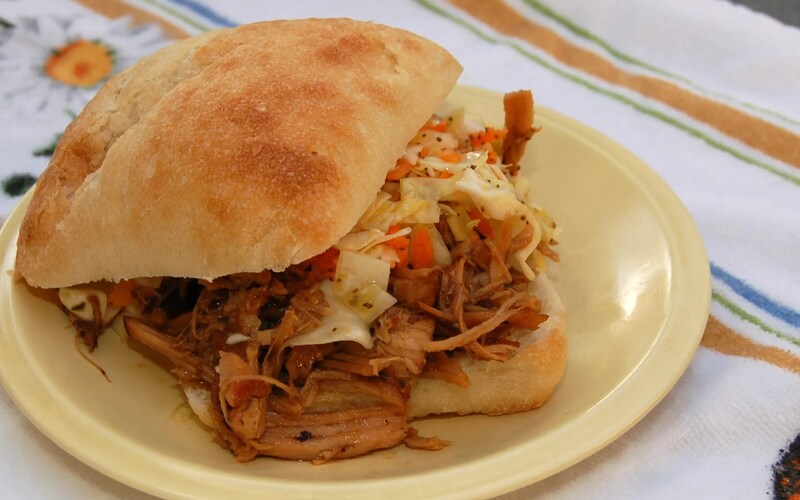 Top the pork with coleslaw.